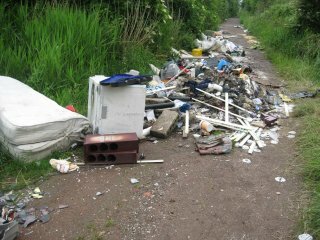 A new campaign to stop people illegally dumping their rubbish (known as fly-tipping) in Leicestershire has been launched. Councils across the city and county have joined forces to warn people that they face hefty fines and a criminal record if they are caught fly-tipping. 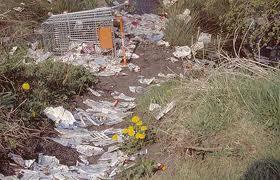 The fines can range from £400 to £5000 or unlimited in Court along with the criminal record. Fly-tipping is a huge problem in Leicester and across each district in the county, with councils dealing with 12,000 incidents per year. Residents can also be fined and prosecuted for using a dodgy trader who doesn’t have a waste licence and operates door-to-door. Will You Collect Large or Bulky Items From My Property? We operate a special bulky collection system where large items can be collected for disposal. This usually incurs a charge. There are restrictions on what items can be collected for health and safety reasons. A list of these items can be found on our special bulky collection webpages. To book a collection please contact Customer Services: 40 Bell Street, Wigston Leicestershire LE18 1AD Tel: (0116) 288 8961.